The injuries suffered by the plaintiff are quantifiable as damages. In premises liability, the duty of the property owner to correct or warn does depend on the categorization of the plaintiff as an invitee/licensee, or a trespasser (in Illinois, invitees and licensees are treated equally). In the context of venues, the majority of individuals who could get injured would be invitees/licensees, and property owners must provide a high standard of care to all these individuals to fix any known problems or warn guests about unsafe conditions which could cause injury. As stated above, venue owners have a duty to keep patrons safe. This includes ensuring that there are no obstructions over which patrons could trip, ensuring food providers are operating within safety parameters, ensuring sufficient security is present, and ensuring adequate medical care is available, among others. The failure to provide for the safety of a visitor to a venue can make the property owner liable for the damages caused as a result of any injury. In most cases, it is relatively easy to show that the venue owner failed in its duty to correct a dangerous condition or in warning of the condition. However, in some cases, it becomes a bit complex. For example, if one patron physically assaults another patron, it may appear that the venue owner cannot be held responsible. However, if it could be proven that the venue served too much alcohol to the aggressor, or did not provide enough security, there may be possible liability for the venue owner, and speaking to an experienced attorney can determine if this could be the case. 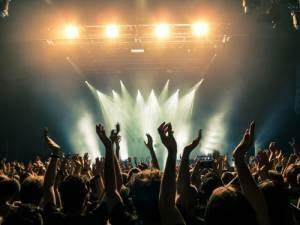 If you suffered an injury while at a concert, contact an experienced personal injury attorney as soon as possible. The dedicated DuPage County personal injury attorneys at Mevorah Law Offices, LLC have years of experience in premises liability matters. If your injury was preventable and likely attributable to the venue owner, we will work to ensure that you get the maximum compensation possible. Contact the personal injury firm at 630-420-1000 for a free consultation.